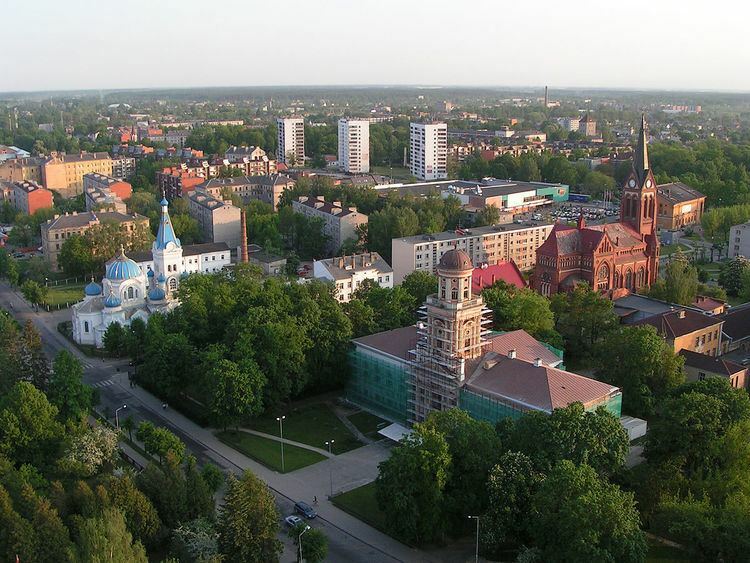 Jelgava ([jælɡava]; German: Mitau; see also other names) is a city in central Latvia about 41 kilometres (25 miles) southwest of Riga with about 63,000 inhabitants. It is the largest town in the region of Zemgale (Semigalia). Jelgava was the capital of the united Duchy of Courland and Semigallia (1578-1795) and the administrative center of the Courland Governorate (1795-1918). Jelgava is situated on a fertile plain rising only 3.5 metres (11.5 feet) above mean sea level on the right bank of the river Lielupe. At high water the plain and sometimes the town as well can be flooded. It is a railway center and is also host to Jelgava Air Base. Its importance as a railway centre can be seen by the fact that it lies at the junction of over 6 railway lines connecting Riga to Lithuania, eastern and western Latvia, and Lithuania to the Baltic sea. 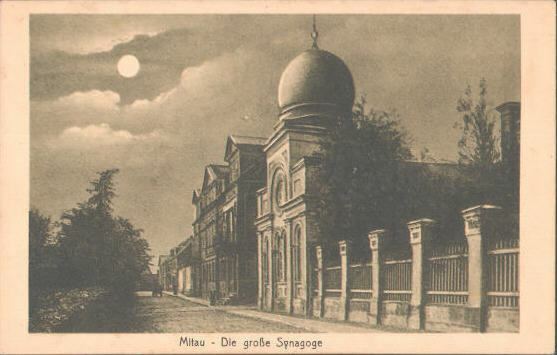 Until 1917, the city was officially referred to as Mitau. The name Jelgava is believed to be derived from the Livonian word jālgab, meaning "town on the river." The origin of the German name Mitau is unclear, although it is suggested that it came from the Latvian words mīt or mainīt, meaning "to exchange" or "to trade," thus making it "the place where trading takes place." An alternate explanation is that Mitau came from Mitte in der Aue, German for "the middle of the Aa", referring to the Lielupe River, formerly known as the Courland Aa (Kurländische Aa in German). Jelgava before the Second World War had regular, broad streets lined with the mansions of the Baltic German nobility who resided at the former capital of Courland. The old castle (1266) of the dukes of Courland, situated on an island in the river, was destroyed by Duke Biren, who had a spacious palace erected (1738–1772) by Bartolomeo Rastrelli at the bridge across the Lielupe. The palace contains the sarcophagi of almost all of the Curonian dukes, except the last one. The future Louis XVIII sojourned in the palace between 1798 and 1800. It now functions as the LLU, Latvijas Lauksaimniecības Universitāte, or Latvian University of Agriculture. Other landmarks include the Baroque church of St. Anne, the tower of the destroyed Trinity church, and two handsome structures: the Villa Medem and the Academia Petrina. The Livonian settlement Jelgava began developing between the rivers Lielupe and Driksa during the 10th century. Led by the Grand Master Konrad von Mander, the crusading Livonian Order constructed the castle in Mitau on a natural island fortification (Pilssala) in 1265–1266. Using Mitau as a southern fortress, the German knights subdued the surrounding Livonians and Semigallians by 1290. The town rose in importance as a defensive fixture against the Lithuanians to the south, who succeeded in plundering Jelgava in 1345. As a result of the fall of the Livonian Order in the Livonian War, Mitau became a town of the Duchy of Courland in 1561. Jelgava received city rights in 1573, and became the capital of the united duchies of Courland and Semigallia in 1578. When the Duchy of Courland split in 1596, Jelgava became the residence of Duke Friedrich Kettler of Semigallia. The city again became the capital of the united duchies in 1617. Because the duchy became a vassal of the Polish-Lithuanian Commonwealth, Jelgava was also referred to by the Polish name Mitawa. The Commonwealth's repeated wars with Sweden subjected Jelgava to several sieges. Despite the wars, the city grew as a center for trade and industry. As Courland's neighbors increased in strength, however, the duchy and Jelgava began to fall under Russia's sphere of influence; Carl Christian Joseph of Saxony, Duke of Courland had to abdicate under Russian siege in 1763. The duchess from 1711 to 1730 was Anna Ivanovna, later Empress Anna I of Russia. With the outbreak of the French Revolution in 1789, the citizens of Jelgava clamored for more rights. However, Imperial Russia annexed the city with Courland in 1795 during the Partitions of Poland. As the seat of the Count of Provence, the palace of Jelgava was the residence (1798–1801 and 1804–1807) of Louis XVIII before he became the French king. Although the city was occupied by Prussian troops during the Napoleonic Wars, it was largely spared destruction. Jelgava further expanded after the construction of its railway in 1868. The development of its infrastructure encouraged rural Latvians to migrate to the city, as merchants, craftsmen, teachers, and officials. By 1914 Jelgava had over 45,000 inhabitants. However, Jelgava suffered considerably after the outbreak of World War I. The spirited defence of Jelgava by two battalions of the Latvian Home Guard in 1915, helped inspire the formation of the Latvian Rifles. German troops occupied the city during the war, and after the war in 1919 Jelgava became a battleground between Bolshevik Red Guards, German paramilitaries, and Latvian freedom fighters. After the latter's victory, Jelgava became an important city in independent Latvia. In 1925 sugar factory was built in Jelgava and it was first such factory in Latvia. In 1939 Latvia University of Agriculture was opened in Jelgava Palace. As a result of the Nazi-Soviet Pact, Jelgava was occupied and annexed with the rest of Latvia by the Soviet Union during World War II in 1940. Much of the city's remaining German population were resettled into the territory of German occupied Poland during the Nazi–Soviet population transfers. German forces from Army Group North occupied Jelgava from 1941 to 1944 until the capture of the city by the Red Army. During the war, German police along with Latvian auxiliary police murdered the Jewish inhabitants of the city during a series of mass shootings (see Jelgava massacres). The main synagogue was burned to the ground. The city's historic center, industry, rail network, and public buildings were heavily damaged by the fighting, with almost 90% of the city destroyed. Jelgava was rebuilt in typical Soviet style after World War II as part of the Latvian SSR. Jelgava became home of several big factories. Among them were sugar factory which was heavily expanded and since 1975 assembly line and administration buildings of Riga Autobus Factory (RAF). Following Latvian independence, Jelgava is slowly regaining its original Germanic heritage and is now a popular tourist site. Due to Latvia University of Agriculture a part of Jelgava's inhabitants are students or people connected with education this is reason why Jelgava is sometimes called Student capital of Latvia. As of 1 January 2017, the city had a population of 61,308. 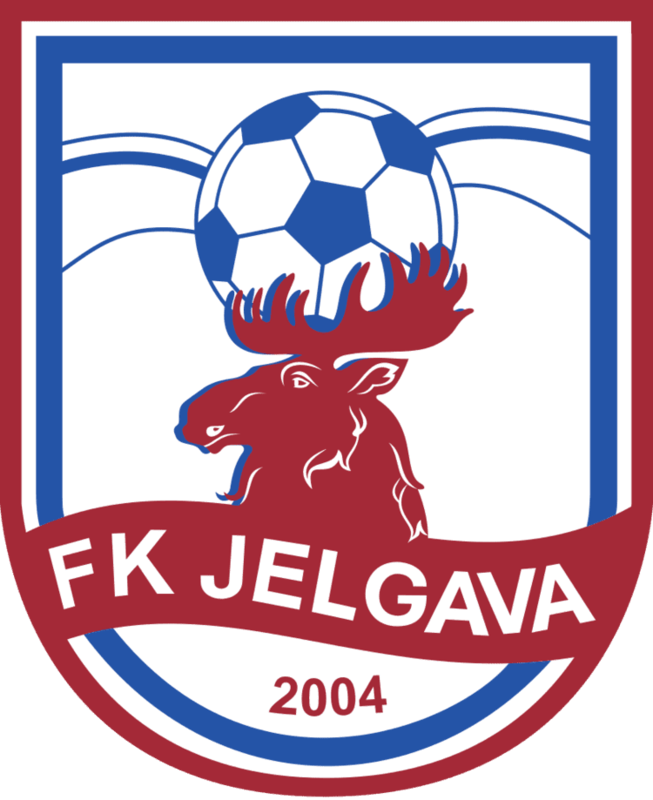 The city's main football team, FK Jelgava, plays in the Latvian Higher League and has won the Latvian Football Cup four times.